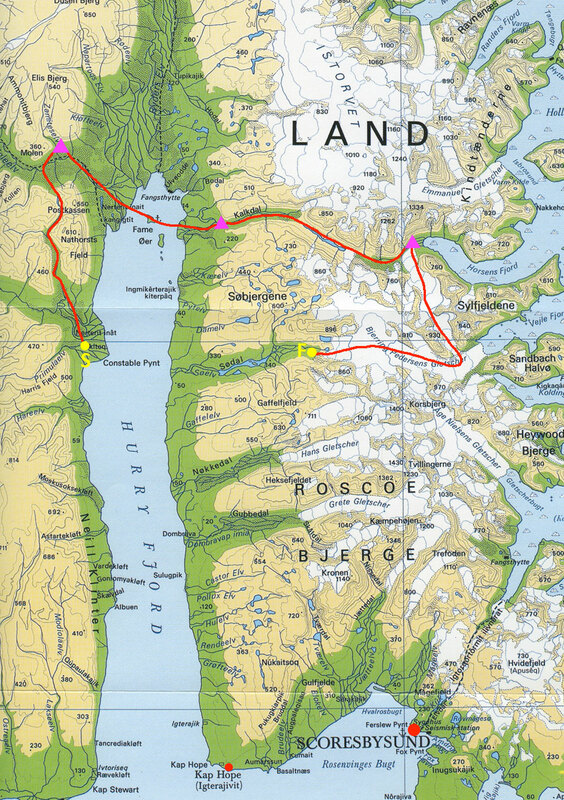 The Iceman route is approximately 70km in total and covers a mixture of frozen fjords, remote valleys and sweeping glaciers. Tangent Expeditions staff will be marshalling the event with a low-key snowmobile presence designed to ensure participants' safety whilst not detracting from your enjoyment of the beautiful, vast and remote landscapes of arctic Greenland. We will provide a route map and brief all participants on the event route on arrival at Constable Point base camp. We will set up checkpoints and event camps along the route. Each camp will have a designated camping area, fenced off with a bear-detection system and staff will camp with teams each night. Day 1: Constable Point to Zemiteselv, via Postkassen Pass. We have prizes for the fastest finishing team as well as a teamwork award. A special prize will be awarded to the participant who has shown the greatest effort, endurance and enthusiasm - the Iceman Hero Award!